Known for its use as a powerful tonic, Birch Sweet can help stimulate feelings of strength, warmth and vitality, making it ideal for use in extremely cold climates. Use on achy, sore muscles and joints to sooth and restore. Dilute and apply topically to promote urination, which can aid in weight loss. 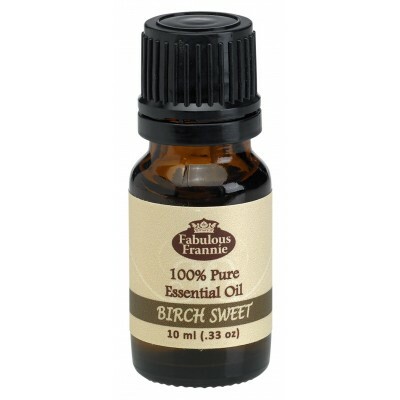 Blends well with: Sweeter citruses, herbs and woody oils, and spice oils. Safety Information: Extremely potent and toxic if taken internally. Avoid throughout pregnancy, labor and breastfeeding.